Join the 5th annual Israel Innovation Expo in Florida. The Expo is Sponsored by: The Town of SURFSIDE Tourist Bureau and will take place in May, 14-15, 2019 at Grand Beach Hotel – SURFSIDE. The Expo showcases the newest Israeli products and technology across multiple industries while connecting start-ups/companies with strategic-partners, buyers, and investors in the U.S. and abroad. 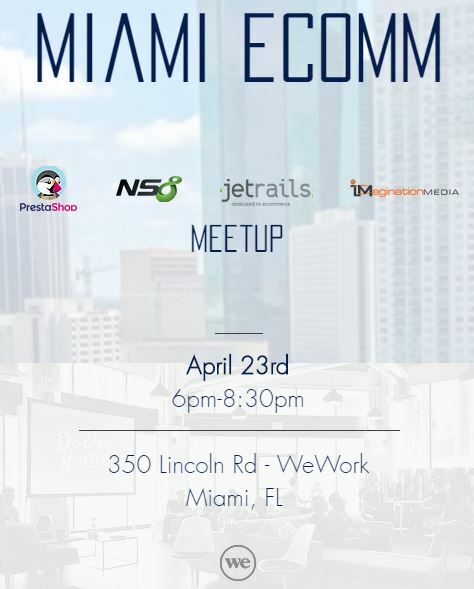 A direct access to the U.S marketplaces, government officials, community and business leaders from in Florida and around the world. Surfside is South Florida’s future realized now, where innovation, business and leisure coexist! Don’t miss the opportunity to exhibit at the premier conference for professionals dedicated to Israel innovation, improvement and global betterment. Secure your company’s exposure to local investors and businesses. innovation luminaries. Participants will meet and collaborate with innovators and developers of new business connections, products and solutions. 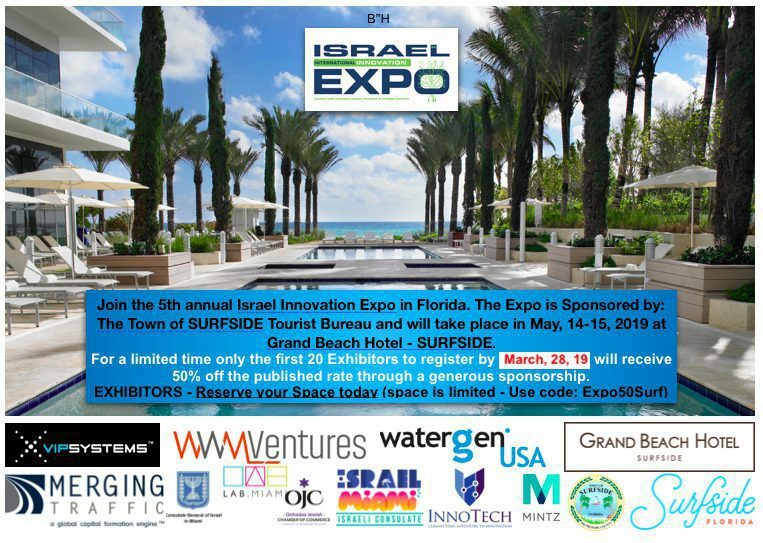 Attention Israeli & U.S Startup and Companies – Exhibit at the Innovation Expo in Surfside and Gain year-round access to the U.S and Mexico investors, business leaders, and marketplaces. Reserve your booth and Receive a “SPECIAL SPONSORED RATE” (50% off offer*) Due to a generous expo donor and sponsor.